Reading author interviews is a fantastic way to find a sense of artistic connection on days when you can't reach out to your actual, in-person community. 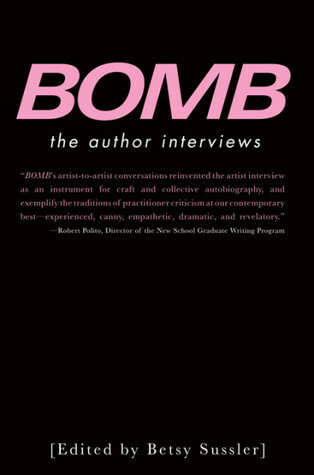 My favorite thing about the interviews in BOMB are that they are a dialogue between writers. You feel as though you are in the room with them and that you, too, could be a part of their conversation. Discovering new authors and how they think about the world expands your artistic community. Sign into Goodreads to see if any of your friends have read Bomb.